Whilst there are no rivers in Jersey and scarcely any streams, there are stretches of still water that hold surprisingly good stocks of fish. Our reservoirs at Val de la Mare and Queen’s Valley are stocked each year with between 10 -12,000 rainbow and brown trout which have been reared by Jersey Water at the Company’s fish farm. 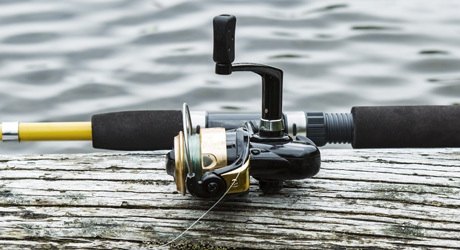 The fish stock help to monitor the quality of water in each reservoir, as well as provide fishing for members of the Jersey Freshwater Angling Association. Please note fishing is not available to the general public and is authorised only to licenced members of the Jersey Freshwater Angling Association.